Buzz about Cartier, Breitling, Omega, Gucci, Movado, TAG Heuer, Michele watches and more! 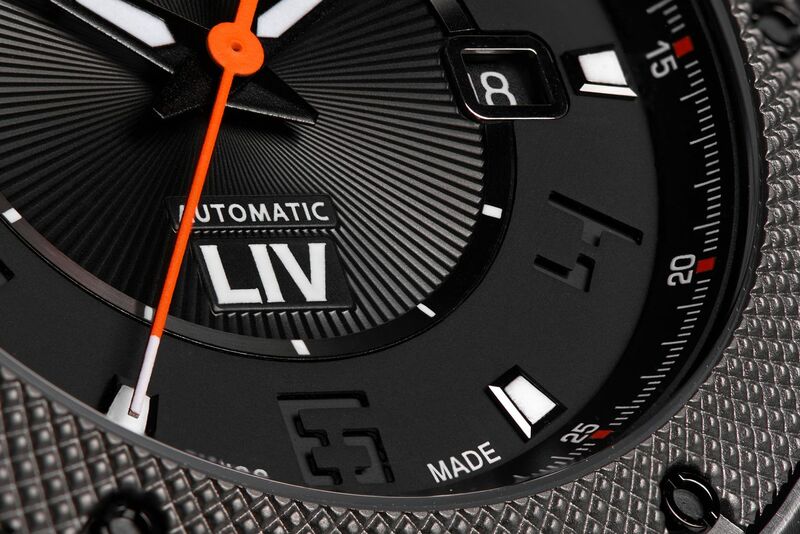 With over a quarter of a million dollars pledged by more than 550 backers, the LIV GX1-A Swiss Automatic Watch is proving to be the most sought out Swiss watch on Kickstarter yet. Within 34 minutes of launching the watch, the entire project was fully funded on Kickstarter, replacing the LIV Genesis X1 Chronograph as the most backed Swiss Watch Project on Kickstarter. The LIV Genesis X1 Automatic boasts the quality and craftsmanship of a Swiss watch, yet proves to not be compromised by the affordable price tag. With the consumers in mind, the Brooklyn-based brand has created a watch unrivalled in its’ ability to couple both the meticulous detail of a high quality Swiss-made automatic watch with the accessible price. Starting at $390 on Kickstarter, the watch is the only Swiss Automatic watch ever launched on Kickstarter under $500. It is little wonder the LIV GX1-A Automatic had more backers within 22 hours than the last LIV project had in over 30 days. Designed for “the man who won’t be told what to do,” the watch offers a clean design with its’ three-dimensional multi layered construction and high quality anti-reflective sapphire crystal on the front and back. The rugged stainless steel casing and IP coating, creates an overall tough, yet aesthetically beautiful appearance. 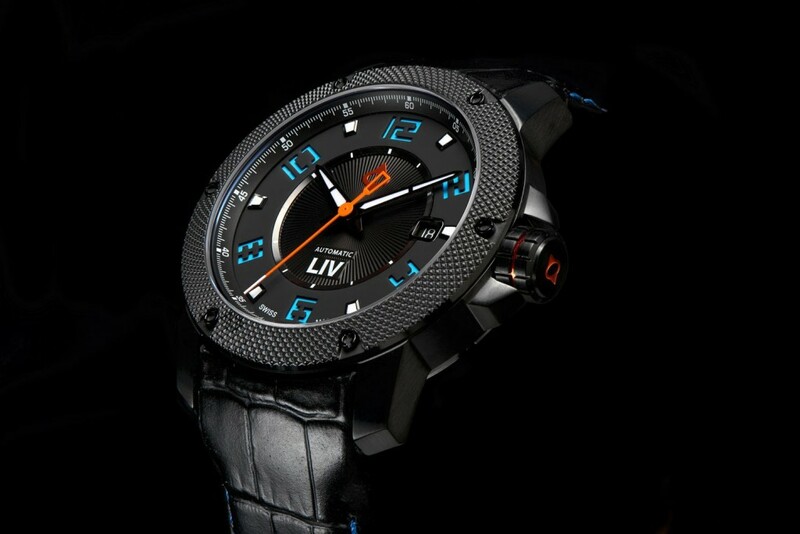 In just over 3 days the LIV Watches Kickstarter project – www.LIVwatches.com/KS – has 153 backers, $54,609 pledged of $30,000. Kickstarter is being used to pre-sell the LIV Genesis X1, and the money is raised is being used for production. Last April, naturalist and diver Laurent Ballesta teamed up with a crew of researchers and the Blancpain Fifty Fathoms in search of a creature long forgotten at the bottom of the ocean off the coast of South Africa. The Gombessa. 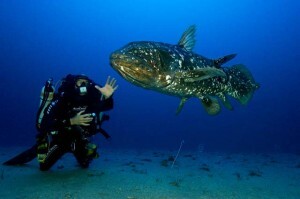 The Gombessa (or coelacanth) is a large sea-dweller which has been incredibly controversial since 1938, when one was found alive. In fact, it was believed that the Gombessa had gone extinct somewhere around 70 million years ago. The creature was thought to be the missing link between fish and land animals, having lobe fins which extend from it’s body like legs and an incredibly primitive, non-functioning, lung. Aside from size (approximately six feet long) and lifespan (up to 60 years), little was known about the Gombessa due to it’s elusiveness and dwindling population. However, with new research, Ballesta and his crew of researchers, scientists, and divers were able to determine the location of the Gombessa. Ballesta and his divers dove 120 meters below sea level to Jesser Canyon caves in order to locate this amazing creature. 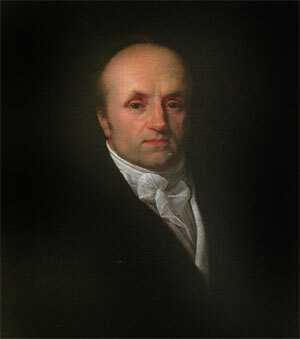 Once the Gombessa was located, Ballesta and his crew began research techniques which they had created in advance of their expedition. 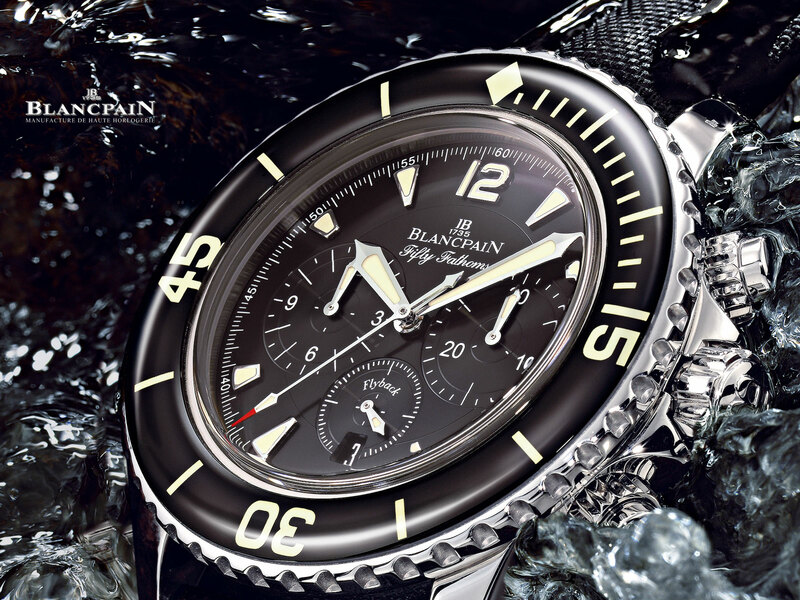 Since 1953 and the creation of their first dive watch in the Fifty Fathoms collection, Blancpain has been a strong supporter of dive expeditions. Blancpain’s support of major scientific explorations has included the “Pristine Seas Expeditions with Blancpain”, a pairing with National Geographic. To learn more about the Blancpain Fifty Fathoms used on the Gombessa Expedition, visit www.blancpain.com. 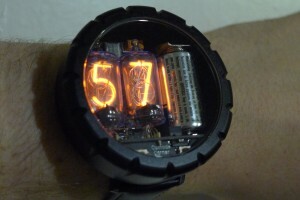 Nixie Watch by Cathode is a nostalgic journey back in time with a dual digit presentation of time at the mere flick of a wrist. Calling all gadget creators and engineering geeks, the Nixie watch is just what creative minds ordered for reading the time of day. Engineer David Forbes got the idea for this incredible watch viewing web pictures of Jeff Thomas’ four digit Nixie watch. The watch inspired Forbes so much that he took out his defunct Fluke 8100B nixie DVM and removed its B5870 tubes. He discovered he could fit two tubes along with a camera battery inside a 1 ½ inch square. Forbes found that he could fit four tubes to make a pocket watch sized clock. He also found that a microcontroller (like a 68HC705J1A) worked perfectly and appeared to be a good fit. Forbes contacted Jeff Thomas consulted with him on the engineering design and the rest became trial and error history which lead to Forbes production journey of his two digit Nixie tube watch. The watch does not require button-pushing to operate. Wearers need only hold the watch at a stand viewing angle and the hours are displayed, another twist of the wrist reveals the minutes in perfect glowing orange digits. The watch is water resistant and rugged. The case is made aircraft aluminum and hard anodized to handle years of abuse and manages to pull off looking great. Apple computer co-founder, Steve Wozniak, absolutely loves the geeky Nixie watch. As an engineer he shared with BBC writer Maggie Shiels, that he wished that he had invented the watchhttp://news.bbc.co.uk/2/hi/technology/7641182.stm. While the Nixie watch is not currently available, Forbes is currently working on a new design for the Nixie watch, considering a possible limited production of only a meager few pieces, depending on demand. Forbes also indicates on his website that if demand warrants it he may bring back the original version of the watch. The Nixie watch has one year warranty. 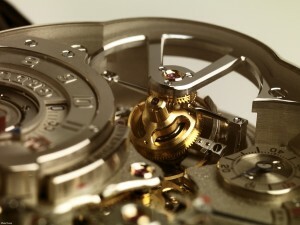 If the watch fails to operate within one calendar year Forbes will repair or replace it free of charge. However, broken Nixie tubes are not covered by the warranty. Additional Nixie tubes are sold for $10 each. It will be interesting to see what Forbes has in mind for the new Nixie watch design, but whatever the new design offers geeky engineers and gadget fans alike will definitely want to leap on purchasing this amazing watch. Sep 28 Tourbillon Complication Exclusivity a Thing of the Past? There are few complications that prove a watch’s horological prowess like the tourbillon. Invented by Abraham-Louis Breguet at the turn of the century to achieve the utmost accuracy in timepieces, the tourbillon almost went extinct with the advent of the quartz watch. Tourbillons were invented to balance out the effects of gravity and jiggling of the timepiece that would throw off the mechanics of the watch. Once the quartz watches hit stores, their effortless accuracy rendered the tourbillon a thing of the past…for a while. However, as the novelty of quartz watches wore off, the eyes of watch enthusiasts were once again drawn to the more artistic, more mechanically masterfully, and more historically rich timepieces of years gone by. Tourbillons started making a reappearance in the world of watches about ten years ago, but for more reason than faultless accuracy. The tourbillon is an extremely difficult horological feat, but combined with the scope of features that a luxury watch now requires, the feat becomes even more impressive. Tourbillons have exploded into the world of watches to the point where their complexity is now as rare as reality TV—that is to say, not at all. Just about every major watch brand boasts at least one tourbillon. In fact, it’s rare for a collectionof watches to miss out on a tourbillon, never mind a brand. Modern tourbillons have now become even more impressive. Double carriage, incredibly huge, impressively tiny, (list some brands here), the tourbillon is now in danger of…dare I say it…overused? Where the tourbillon once was a unique, almost quirky addition to a timepiece, it has now become something of a gimmick. That is not to say that the tourbillon is unworthy of such attention. It is an incredibly beautiful piece of machinery, and its successful completion is the piece de resistance of any watch maker. However, it is no longer the rarity it once was—and may even be a superfluous addition to the cost. The tourbillon remains an beautiful and worthy accomplishment in the world of horology. Incredibly difficult to realize, incredibly delicate to design, and unbelievably magnetizing in action, the tourbillon may well be worthy of the new attention bestowed on it in the 21st century. However, its exclusivity as a luxury timepiece element is a thing of the past. The biennial professional golf tournament between the greatest golf players from Europe and America has partnered with luxury watchmaker Omega for the 2012 Ryder Cup. Omega was named as the official timekeeper for the famed tournament in 2011 and is slated to continue the duties as timekeeper until 2016. For those unfamiliar with the distinguished games, the Ryder Cup sets golf greats from Europe and America in opposition to play in a variety of tourneys all for the love and thrill of playing golf. Aside from the Ryder Cup trophy, winners compete for the sheer thrill of competition and not for any monetary prize. The lack of a monetary prize distinguishes the Ryder Cup from most other professional competitions and perhaps makes the prize much more desirable. 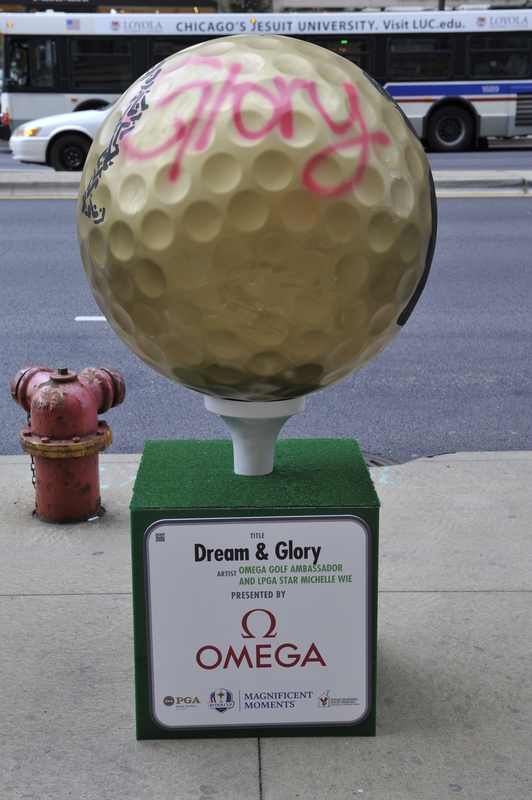 Davis Love III is Omega’s latest brand ambassador and also named captain of Team USA. Although this is Love’s first time playing the role of team captain, Love is no stranger to the Ryder Cup. He previously took part in six tournaments and played on two winning teams making him the ideal candidate for team captain. And what partnership would be complete without a commemorative watch to celebrate the alliance? 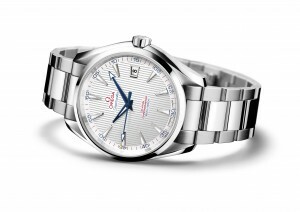 Omega presented the Seamaster Aqua Terra “Captain’s Watch” as a dedicatory piece and can be seen on the wrist of Team USA captain Davis Love III. The Seamaster Aqua Terra comes in a 41.50 millimeter stainless steel case and features a screw-in case back with a sapphire crystal which allows a clear view of the movement. Additionally, the Captain’s Watch is equipped with the exceptional Co-Axial caliber 8500 with an Si14 silicon balance spring that is exclusive to Omega. hands of the watch and it is also water resistant to 500 feet. Omega describes the limited edition Seamaster Aqua Terra “Captain’s Watch” as possessing outstanding reliability and superb performance. They believe these are qualities that every leader should possess and believe that Davis Love III is a prime example of a great team leader. The 2012 Ryder Cup began on September 22 however games will continue until September 30th. Check your local listings to cheer on your favorite golfers and catch Davis Love III and the Omega Seamaster Aqua Terra “Captain’s Watch” in action. Aug 05 Slyde Watches Becomes Official Watch Sponsor of the European Poker Tour Season 9. The poker hands have it at this year’s European Poker Tour Season 9 Main Events, and Slyde Watches has revealed its sleek hand as the Official Watch Sponsor. Luxury Swiss watch brand HD3 Slyde is sporting a different kind of poker face these days as it has forged a partnership with European Poker Tour and has agreed to be the Official Watch Sponsor of the EPT9 Main Events. 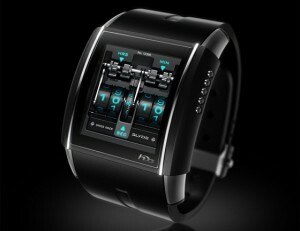 In addition to the EPT9 prizes six lucky winners will also be presented with “Black and Steel” design HD3 Slyde watches. 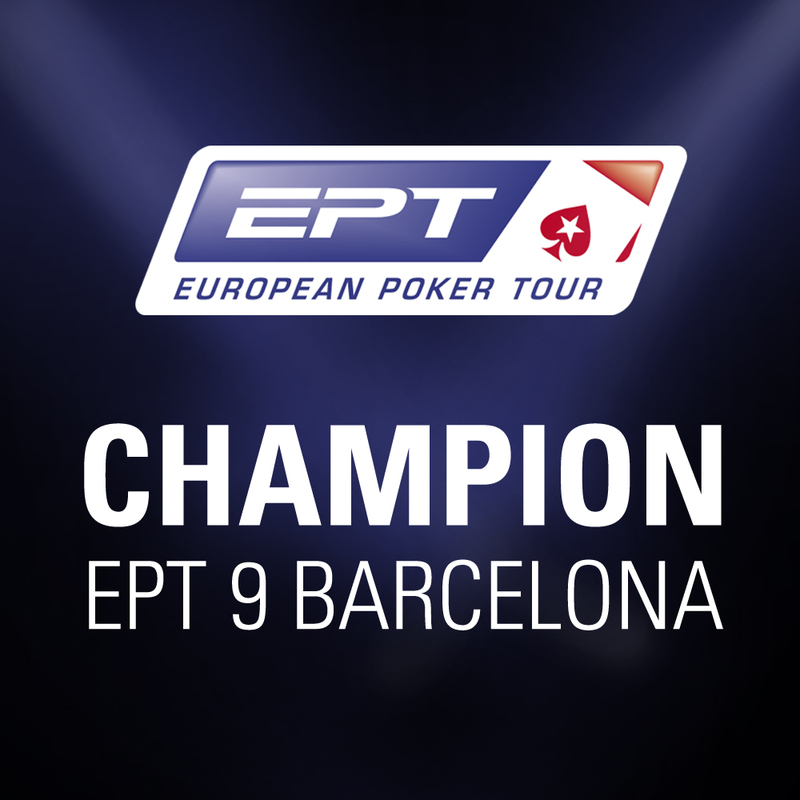 Mikalai Pobal, Main Event Champion of the EPT9 Barcelona Tournament has already claimed his hefty €1.007.550 check and of course his prestigious “Black and Steel” HD3 Slyde watch. Pobal (a.k.a. “leanod” – his online poker handle) celebrates his impressive win noting it marked his first win and participation in the European Poker Tournament. Needless to say Pobal will not only be holding cards and sporting a winner’s poker face, but he’ll do so wearing his new HD3 Slyde watch. Congratulations go out to Mikalai Pobal for his impressive win. ent ever designed thanks in part to a micro-controller which processes hundreds of images per second. The most incredible feature of the Slyde watch is its ability to download software, upgrades, functionality and pictures from HD3 – Slyde Shop, making it the most evolutionary luxury watch on the market.EPT9 Main Event winners can look forward to phenomenal cash prizes and a personalized Slyde watches that displays “Champion EPT 9…” and specific tournament site. The winner of the PokerStars.com and Monte Carlo® Casino European Tour Grand Final will receive a “Black and Rose Gold” version of the Sldye watch. It may actually pay off to take up learning the game of poker just for the Slyde watch alone! At the beginning of 2012 the World Series of Poker announced that it would hold a tournament later on in the year. 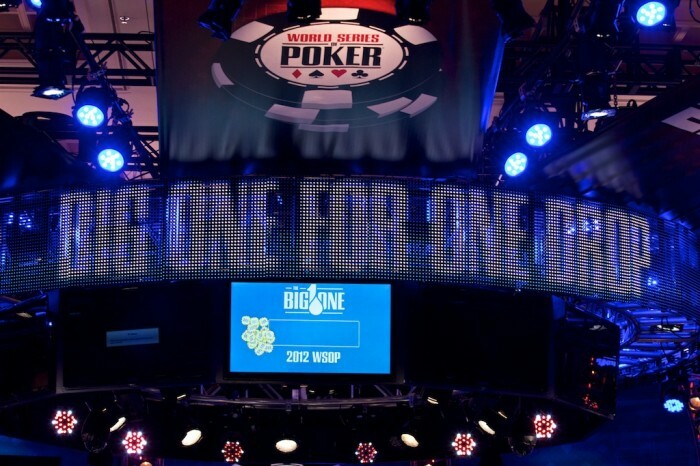 They eventually announced the “Big One for One Drop” tournament that was to be held from July 1st-3rd in Las Vegas at the Rio All-Suite Hotel and Casino. This would be the world’s biggest charitable tournament and the most well known. The prize winnings and the donations are some of the highest ever in charity and tournament history. Of course excluding the lottery, but that’s neither charity nor a tournament. The entry into the tournament had a minimum fee of one-million dollars. The tournaments profits will go to the One Drop foundation founded by the creator of Cirque de Soleil, Guy Laliberte. The foundation works to provide water to those desperately in need of it. Richard Mille a French businessman and owner of a Swiss watch company under his own name had been chosen to design a trophy bracelet to be given to the winner of the tournament. The design of the bracelet took the form of the Tonneau shape. The goal of the bracelet was to symbolize the foundation and the event. To do this Mille took two sapphire crystals and superimposed them into the middle of the case to give the bracelet depth and a picture frame appearance. On the first crystal a water droplet shaped diamond of 0.78k was imbedded within. Behind both crystals is the logo of the Big One for One Drop foundation. The item is super polished and made of platinum, which gives it a sleek and luxurious quality. 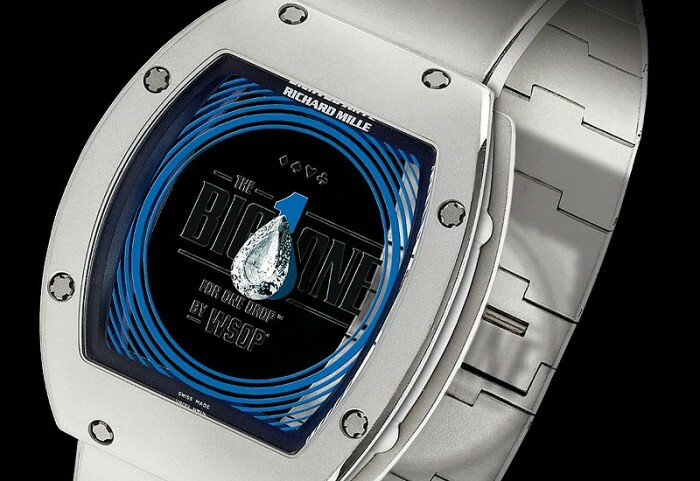 Richard Mille’s name is detailed on top of the watch face and World Series of Poker is abbreviated under the foundations name. The water droplet shaped diamond perfectly symbolizes the event and as its set smack in the middle of the bracelet, anyone who looks at it will instantly be intrigued by what it is supposed to represent. When people want to know what the item is meant to represent then you know you have designed an item perfectly towards its intended cause. Richard Mille is a friend of guy Laliberte. Their friendship helped established the tournament. With the tournament over last week the total charitable earnings equaled out to $5.3 million, a huge sum which will go along way for those in need of the foundations services. Both Mille and Laliberte will be pleased at the success of both the event and the bracelet. Since 1993 Corum the Swiss watchmaker has developed Admirals Cup 48 Tide watches with such precision that they have become the name for such designs. 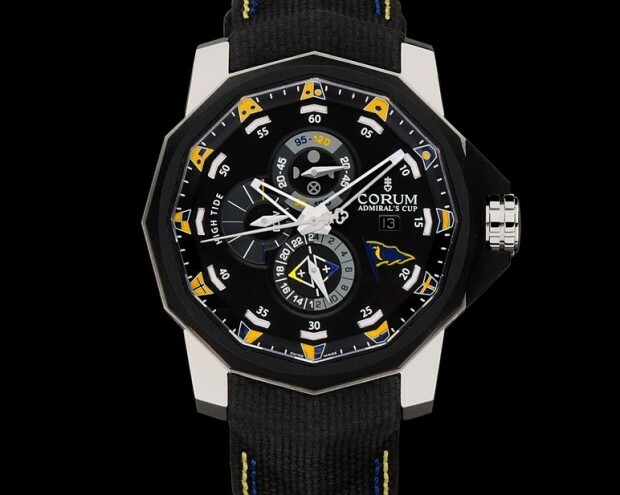 In 2012 Corum released a new edition of the 48 Tides collection. The Seafender 48 was released earlier this year in limited edition, Corum done this to mark its re-entry into the Brazilian market. The watch is dedicated to the 65th anniversary of Brazil’s most important nautical institution, the late Clube de Santos. The Seafender 48’s main features include nautical information displays used by ship crew members and admirals during sailing and especially during uncertain weather conditions. Both editions have the same features expect that the red gold edition is only water resistant down to 50 meters where as the titanium sporty edition can be taken down to 300 meters. The watch is erupted with a caliber CO277 giving the mechanisms a power reserve of roughly 42 hours. The shape of the watch is in a dodecagonal, meaning it has 12 sides. The case is made of grade 5 titanium or 5N 18k red gold. The bezels are made of vulcanized rubber. The crystal is sapphire with an anti reflective coating. The hands on the clock are treated with SuperLuminova which allows for visibility in low light environments. All the numbers on the clock face are developed to provide for accurate and quick nautical information. To an untrained eye the watch seems hectic and clustered but for those used to such numbers and measurements the watch is extremely useful. The Seafender can also be used as a backup in case on board systems on a ship fails and shuts down. The Seafender 48 is limited to 65 pieces. The price has not yet been revealed. 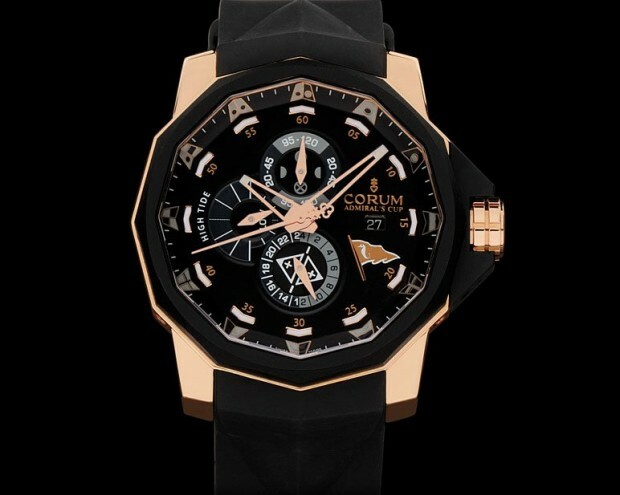 You would have to contact Corum to get a quote, which is usually the case with most limited edition luxury watches. As 2012 will eventually end so will this limited edition Admiral watch. Although targeting the Brazilian market, the watch can be bought by those outside Brazil. 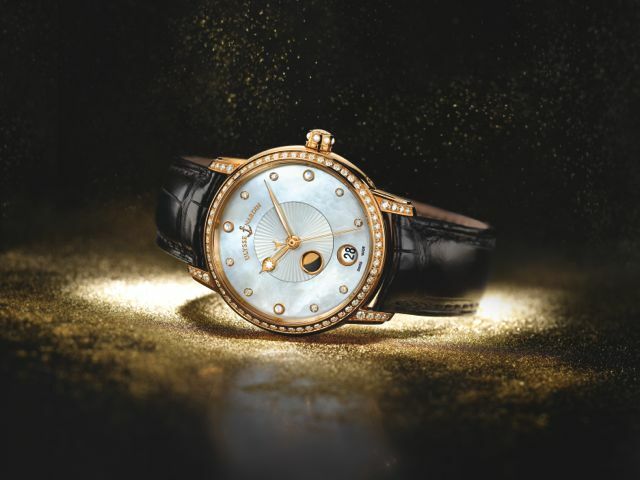 Using the Moon as inspiration, Ulysse Nardin designed a new watch to represent the phases of the moon in a watch the looks like a classic timepiece. The Classico Luna watch does not seem like a special watch from a distance. In fact even from up-close it looks like an ordinary watch. One would think its only value and selling point is that it was designed by a high end luxury watchmaker. However the main selling point of the Luna watch comes from its inspiration not any over the top appearance. 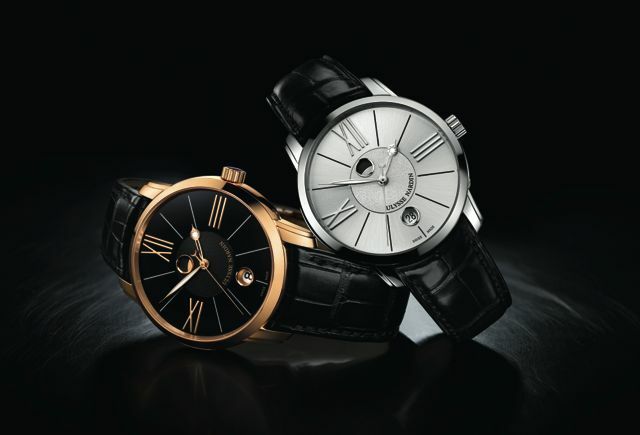 The Classico Luna watch features a moon phase disc that rotates around the center of the clock face every 12 hours. As it moves around the clock face the moon disc changes colors to show the phases of the moon following the moons 29.5 day cycle. If course somehow the disc representing the moon is off by a fraction or by a day, you can easily adjust it by the correctors located in-between 5 and 6’ o’clock. The slim design of the Luna watch compliments it perfectly. While most other watches feature thick cases and over the top mechanisms, the Luna not only emphasizes its main feature (the moon disc), but the simple classic design does not distract you from that main feature. The men’s clock face features Roman Numerals. The date is shown in a circle at 6 o’clock. The clock hands are a slim line. However the hour hands head is shaped like a water droplet. A nice feature on the hour hand is that it features a detailed engraving of the Sun on it. A very appealing detail I must say, perfectly complimenting the rotating moon disc on the watch. The Luna has been designed for both men and women. The men’s version comes in roman numerals as mentioned above. The women’s version comes with diamond indices instead of roman numerals. • Diamond bezel/lugs and mother of pearl dial. The Classico Luna’s simple design makes it both quiet affordable and wearable. You can wear it both on formal and informal occasions. It is neither over the top luxurious nor cheap looking. The Luna is a truly versatile watch.